Louise Lawler, Slides by Night: Now That We Have Your Attention What Are We Going to Say? 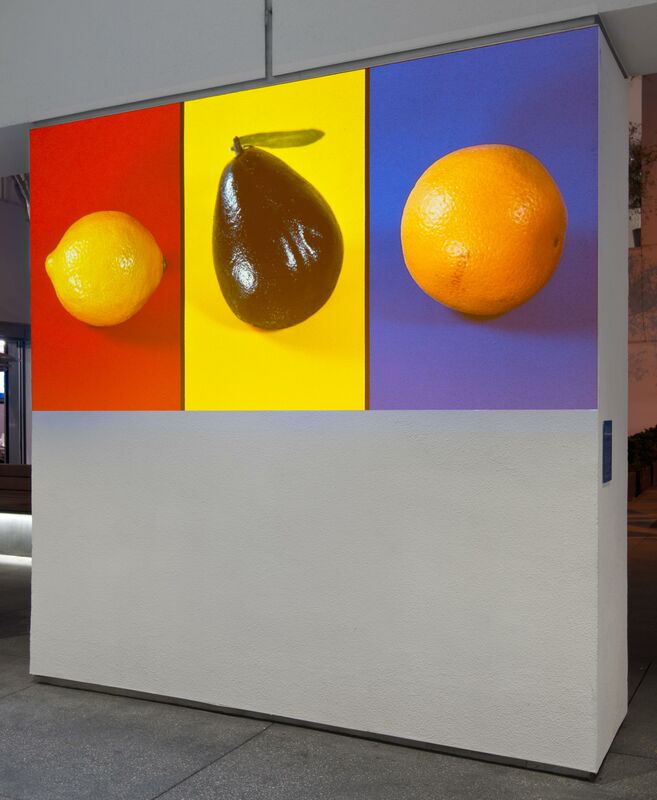 This projection work was originally on display only at night, visible through the storefront windows of Metro Pictures' gallery in SoHo to passersby on the street when the gallery was closed. When the three images match up, the "jackpot" is one of Lawler’s photographs of art in its various contexts, including one of plaster casts taken in the storage room of the Queens Museum. Equating the gallery that represents her with both a shop and a casino, Lawler effectively called the art market a commercial gamble, and by aligning her own work with the mechanisms of retail and gambling, prompted viewers to consider art's position in relation to any other item up for sale. "Slides by Night: Now That We Have Your Attention What Are We Going to Say?" Take It or Leave It: Institution, Image, Ideology Digital Archive. Los Angeles: Hammer Museum, 2017. https://​hammer.ucla.edu/​take-it-or-leave-it/​art/​slides-by-night-now-that-we-have-your-attention-what-are-we-going-to-say/​.